"I've traveled the globe making music and throughout the years I've always hoped that it could inspire small steps towards making the world a better place," Michael Franti said in his "Stay Human" tour release. " Struggling with the challenges of the world I began filming my new documentary, 'Stay Human,' telling the stories of heroic everyday people who helped me to discover more deeply what it means to be and 'Stay Human.'" The theme for the evening at Red Rocks on Friday night seemed to be love. Franti began his evening set with a self-produced video where he expressed his concern for the state of the world and he wondered if he could make an impact. Music fans were met with surprise as it was revealed that the video was filmed at Red Rocks. It captured Franti meeting strangers prior to the sold-out show at the historic venue. The people he met, along with the band, then ran onto the stage and danced as the band kicked off its first song. For the second song, Franti brought some teens on stage to sing with him. 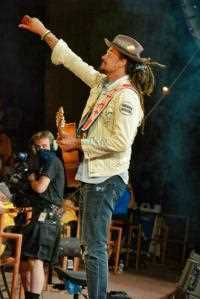 Franti expresses his love for people in his music. The third song in the set had him jumping from the stage and into the audience, while still performing the song. It's not unusual for him to visit the crowd — and, in fact, for Friday's show, the venue set up three different audience areas for him to perform. The positive energy at the venue was palpable. The crowd of 9,000 was smiling, often standing and waving their arms to the music. All Franti had to say was "jump," and the crowd jumped in unison. Earlier in the afternoon, the event kicked off with the "Michael Franti Yoga Jam" for 3,000 participants who purchased the Yoga Jam session, with proceeds benefitting Franti's nonprofit, "Do It For The Love." Singer-songwriter Victoria Canal opened the show with her upbeat original songs and a smile. Her set ended with an impromptu duet with Franti. 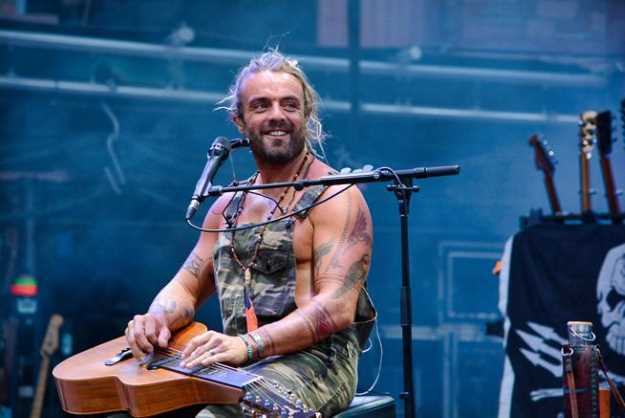 Australian artist Xavier Rudd followed Canal, and he was straight off of the release of his album "Storm Boy" — and in the middle of a world tour. Rudd had the audience dancing and marveling at his didgeridoo-infused music. At one point Rudd mounted two large didgeridoos atop a drum set and performed a heavy rhythm-trance solo song, a departure from his regular music. It was very enjoyable. With so much hate fueled by governments and organizations today, the world needs Michael Franti and his positive message of love, inclusion and compassion. Shannon Breland, of Evergreen, took her daughter to the concert for a 16th birthday present. "We are so in love with Michael Franti and the Spearheads," said Breland, who noted it was her family's first concert at Red Rocks. 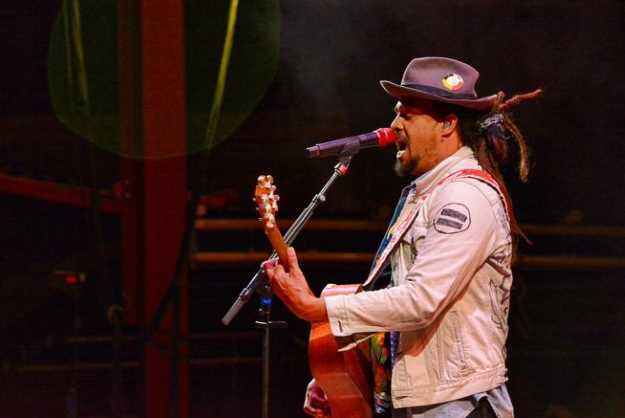 "(Franti's) love, (his) compassion, (his) hope inspires us and keeps us going strong."